Cinnamon Beach Villas is situated on the Laem Nan headland at the northern end of Lamai Beach, adjacent to the Renaissance Hotel. 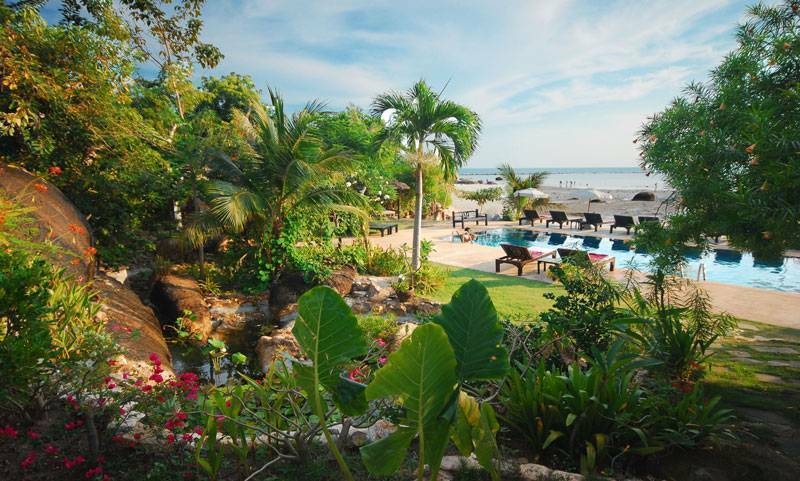 The Resort is setting in a very peaceful and relaxing, with views across the bay to Lamai, the charming location and well known as its a famous tourist attraction in the southern part of Thailand. All luxurious rooms are specially provided with private balcony with panoramic sea view. 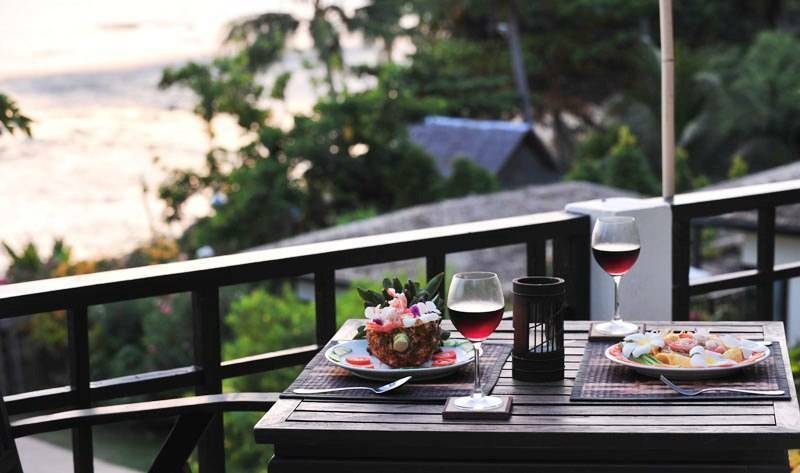 Light up your splendid holiday and stay with us at Cinnamon Beach Villas Lamai Beach, Koh Samui. Deluxe Seaview Deluxe Room on building (size 34 sqm.) features with TV 29” with Cable, Coffee Maker, DVD, Refrigerator, Mini Bar, Air condition & Fan, Private Bathroom with Bathtub & Hot & Cold Shower, Private Balcony with panoramic seaview. Premier Seaview Premier Room on building (size 40 sqm.) features with TV 32” with Cable, Coffee Maker, DVD, Refrigerator, Mini Bar, Air condition & Fan, Private Bathroom with Bathtub & Hot & Cold Shower, Private Balcony with panoramic seaview. Penthouse Seaview Penthouse Room on building (size 50 sqm.) features with TV 32” with Cable, Coffee Maker, DVD, Refrigerator, Mini Bar, Air condition & Fan, Private Bathroom with Bathtub & Hot & Cold Shower, Living Area, Private Balcony with panoramic seaview. Villa Seaview Large Private Beach Front Villa Room (size 60 sqm.) features with TV 32” with Cable, Coffee Maker, DVD, Refrigerator, Mini Bar, Air condition & Fan, Private Bathroom with Bathtub & Hot & Cold Shower, Living Area, Private Balcony with panoramic seaview. 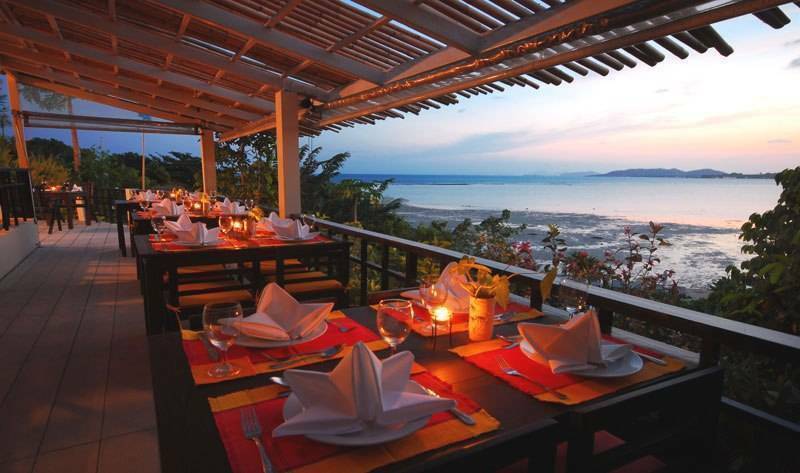 Cinnamon Beach Villas is situated on Lamai Beach, Koh Samui. All Seaview Room Rates are inclusive of Breakfast, Service Charge and VAT. -Cancellation should notify 7 days prior to the arrival date. -Failure to comply with fully booking value will be charged for late cancellation. -Fully booking amount will be charged for non arrival guest or No Show. -The Hotel subjects to charge fully booking amount for Early Check-out. 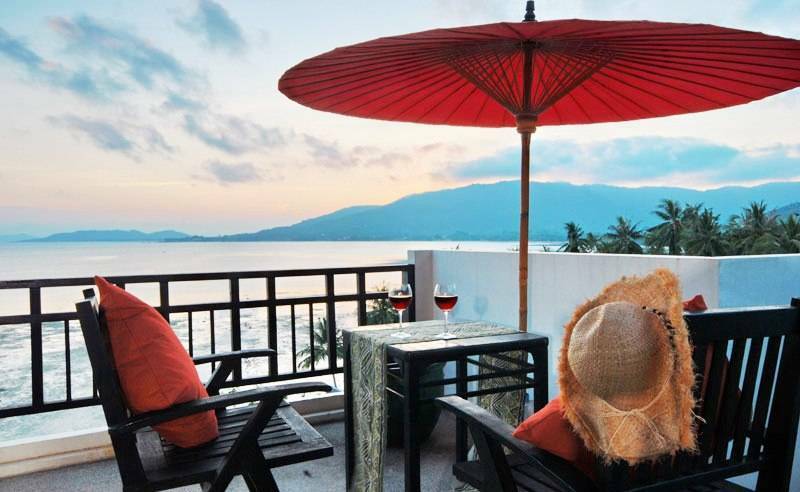 Cinnamon Beach Villas is situated about 15 kilometers, approximately 20 minute direct access from Samui airport. You can easily get to the place by car, bus or shuttle bus. Especially we have shuttle bus directly to hotel from airport get to our place.